I'm a little obsessed with buying things for my home. 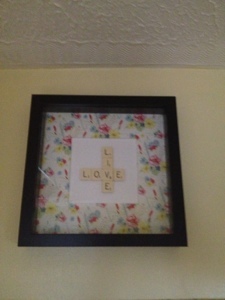 If it has hearts, bunting or a motto on it, I just have to have it. I don't like crazy clutter but I do like to live in a house that has lots of bits and pieces that mean something and all the nic naks we've collected over the years on display. 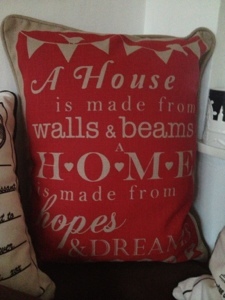 In my opinion, a house isn't a home unless it looks lived in and I think you should be able to walk in the door and get a feel for what the people who live there are like. After all, Through The Keyhole was one of my favourite programmes! At the weekend, I was at it again, tempted as always by the beautiful items from Next's home collection and by handcrafted fabrics at the craft fair I did on Saturday. 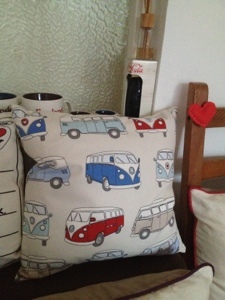 And another cushion, because I love them and I love VW campervans - bought at a craft fair. 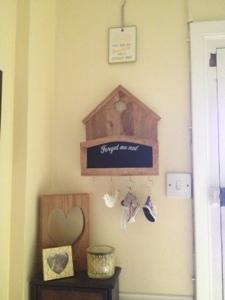 Super cute letter holder / key hook / blackboard from Next. 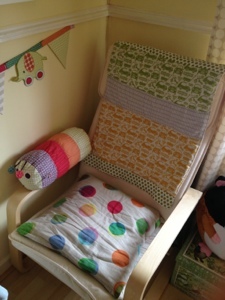 Handmade blanket / playmat from the craft fair, currently draped over the chair in Ethan's nursery. 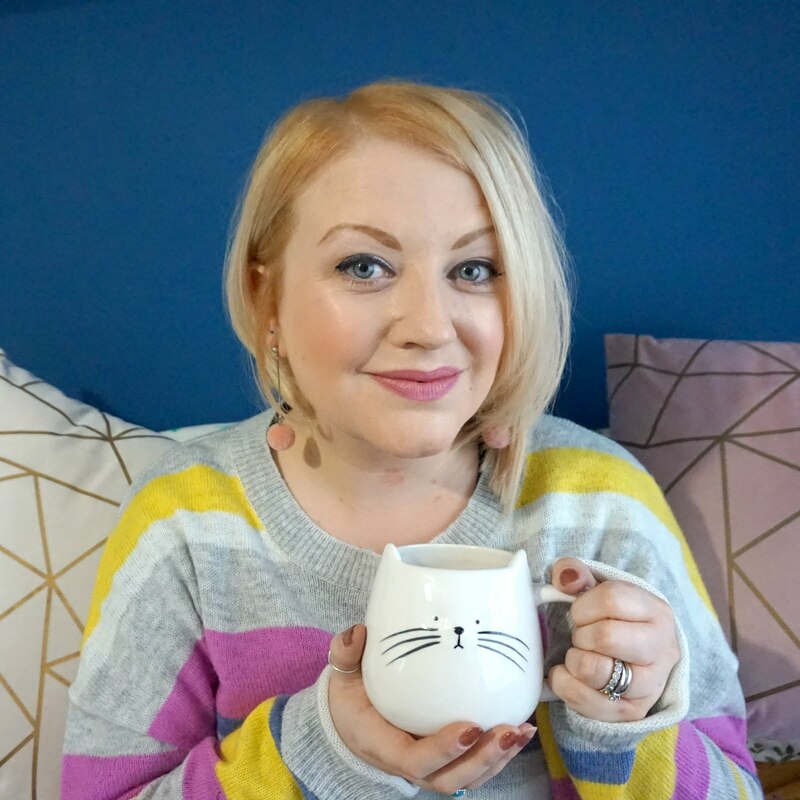 I do love a good motto motif as you can see and just as well as it seems to be one trend for the home that has enduring appeal. 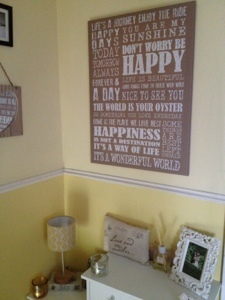 I have everything from 'Home is where the heart is' and 'When life gives you lemons make lemonade' to a big canvas covered in motivational quotations and several decorative 'love' items. 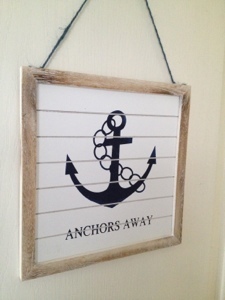 Sign in the bathroom - it's beach themed. 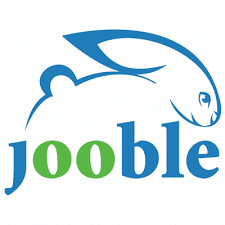 I love a good theme! 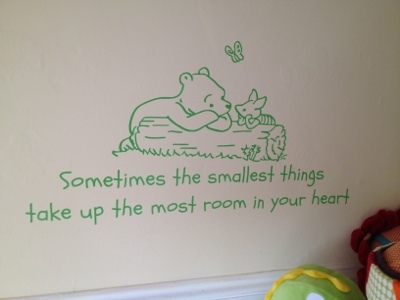 Wall sticker in Ethan's room. I like to look at these mottos each day to remind myself to appreciate each day and be positive. 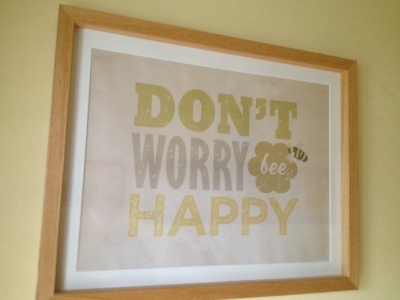 'You are my sunshine' is a particular favourite of mine at the moment as I sing that song to Ethan whilst my 'Don't worry bee happy' print (also Next!) never fails to make me smile as I walk out the door. 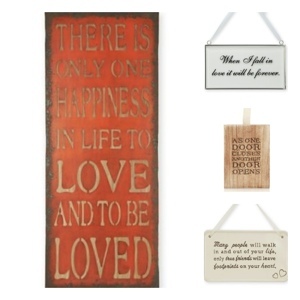 I absolutely love these other new items from Next - the first reminds me of my favourite film, Moulin Rouge, which was the name of our top table at our wedding, and the top and bottom items would be fantastic gifts for friends getting married. What motto, quote or saying do you like and what does it mean to you?